I’ve always considered myself a bookworm. If I could, I would definitely spend my hours and days reading all kinds of books from romantic novels to emotional help books. You might feel identified with what I just described, and it was when I identified myself with words and stories that my own love for writing started. A lot of people find it hard to express their feelings and thoughts, but putting them into written words is one of the best ways to communicate them to other people. If you are writing for yourself, it is pretty obvious that you will understand the message you are trying to convey. But what happens when you are writing content for other people to read? This is where book editors come into the picture, they are the partners in crime every writer needs. But what do they do and why is their job important? I personally think literature shapes a lot of our thinking nowadays. What we read either affirms or challenges what we believe about the world. But like I said before, every writer needs help to make sure their thoughts are understood by the audience. Editors have the tough job of placing themselves on both sides. They need to understand the vision and heart of the writer to ensure the manuscript communicates exactly what it was meant to. At the same time, they need to have the ability to place themselves in the lives of the audience. How would this thought be received by other people? Is there a better way of communicating it? These are questions the editor would ask himself when reading the manuscript. They are in charge of evaluating the content, message, method and grammar of a book to ensure the final product is as faithful to the writer’s vision as it can be. And of course they are in charge of ensuring that the vision connects with the hearts of the readers. When people find it, gold is found as a raw material. It is not found as the beautiful metal we see in jewelery. It is full of impurities and soil around it, so it needs to go trhough the process of refinement until it reaches it purest state. Gold is its purest stage is the gold with the most value. The process is not any different in book editing. 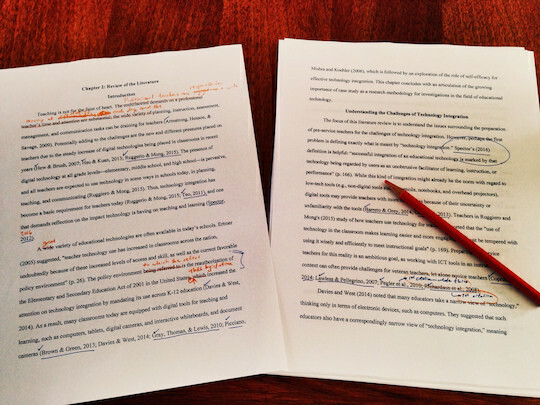 When a manuscript is handed to the editor, it is a raw material surrounded by maybe mistakes or inconsistencies. If you think you can write a perfect manuscript yourself, just try and write more than 100 pages and let’s talk after that. So if you are up for the job of book editing, good for you! You will be definitely be a great help to writers and you will be the person that will ensure their job is great. It is not an uncommon mistake to get confused with the job of an editor and a publisher. But even though these two careers have much in common and compliment each other they do not have the same responsibilities. A writer is in charge of creating the content of a book, the editor makes sure the content is excellent and reaches the audience, and the publisher is responsible for the strategic financial planning of the book. They are in charge of planning how to make the book attractive for the audience and financially successful. They ensure writing to be a sustainable and successful business. The three (writer, editor, publisher) work hand in hand and do make the job of interpreting the vision and the audience, and ensuring the book satisfies both sides of the coin. To become a book editor you will first need a Bachelor’s degree in of these three fields: Communications, English or Journalism. A degree is not the only thing you will need though. With it you will need to work your way up through experience. It is always important if you know this is the path you want to take in the future, to make the most out every good editing opportunity you encounter. Maybe editing for your school’s newspaper or a community newspaper is something you can start with. Every piece of experience is valuable and it will help you broaden your insight. So are you a book lover? Do you have a passion for empowering other’s to communicate what’s in their heart? Then this might just be the perfect job for you! There’s always plenty of opportunity to grow in expertise around you, so take one and start your path towards this dream. Don’t despise small opportunities, those opportunities will give you a sure foundation to build on. Tell us! What else do you think it takes to be a book editor? Have you ever met a book editor before?